A true story from award-winning journalist Sonia Nazario recounting the odyssey of a Honduran boy who braves hardship and peril to reach his mother in the United States. Enrique sets off alone from Tegucigalpa, with little more than a slip of paper bearing his mother's North Carolina telephone number. Without money, he will make the dangerous and illegal trek up the length of Mexico the only way he can  clinging to the sides and tops of freight trains. With gritty determination and a deep longing to be by his mother's side, Enrique travels through hostile, unknown worlds. Each step of the way through Mexico, he and other migrants, many of them children, are hunted like animals. Gangsters control the tops of the trains. Bandits rob and kill migrants up and down the tracks. Corrupt cops all along the route are out to fleece and deport them. To evade Mexican police and immigration authorities, they must jump onto and off the moving boxcars they call El Tren de la Muerte- The Train of Death. Enrique pushes forward using his wit, courage, and hope - and the kindness of strangers. It is an epic journey, one thousands of immigrant children make each year to find their mothers in the United States. Lourdes knows. She understands, as only a mother can, the terror she is about to inflict, the ache Enrique will feel, and fi­nally the emptiness. What will become of him? Already he will not let anyone else feed or bathe him. He loves her deeply, as only a son can. With Lourdes, he is openly affectionate. "Dame pico, mami. Give me a kiss, Mom," he pleads, over and over, pursing his lips. With Lourdes, he is a chatterbox. "Mira, mami. Look, Mom," he says softly, asking her questions about everything he sees. With­out her, he is so shy it is crushing. Few would disagree that illegal immigration is a problem for the USA and for other Western countries, but it's all too easy to think of it as a statistical problem, not the human problem that it is. At the end of the day Enrique's Journey is not about illegal immigration or people stealing jobs from USA workers, it's about families, and the desperately hard choices that too many have to make. (Reviewed by BookBrowse Review Team). The reporting is impressive, and the reporter makes every attempt to ensure it is accurate and honest. The writing, however, is not up to par with the reporting. For instance, when describing the commonplace problems of the poor, the prose falls flat and needs help. Nazario doesn't pull any punches in Enrique's Journey, which is sure to startle any complacent reader. She also knows that stories such as Enrique's will continue for many years to come. "One Honduran teenager I met in southern Mexico had been deported to Guatemala twenty-seven times," she writes. "He said he wouldn't give up until he reached his mother in the United States. I began to believe that no number of border guards will deter children like Enrique, who are willing to endure so much to reach the United States. It is a powerful stream, one that can only be addressed at its source." Enrique is far from heroic; Nazario doesn't shrink from the glue-sniffing, the drugs, the anger and the criminality. His story expands in unexpected ways, as does Lourdes', particularly when he finally makes it across the border. Nazario uses his journey to profile the profound consequences – in three nations, among millions of people – when families and societies are ripped apart by economic currents. [I]t is safe to say that Enrique's Journey is among the best border books yet written. Based on a Pulitzer Prize-winning series in the Los Angeles Times, it is a stirring and troubling book about a magnificent journey undertaken by a lone boy in a terrible, terrible place. It's not about invading the United States or stealing social services or jobs from American workers. Enrique's Journey is about love. It's about family. It's about home. In Enrique's Journey Nazario has crafted a contemporary fairy tale, complete with fire-breathing freighters, tattooed villains and absent mothers. And it is those timeless human concerns -- of longing for home, of aching for family, of connections craved -- that elevate her story out of the thorny politics of migration legislation and immigration reform. To readers raised on Disney flicks, perhaps that sounds like a dismissal, but it's meant as nothing of the sort. Since the brothers Grimm, the most enduring fairy tales have been formed from human suffering, striving and sacrifice. It matters little that in Enrique's Journey the characters are Latino housekeepers and not Parisian princesses. Nazario's storytelling is itself is a magical act, one that illuminates the invisible -- like phantoms -- in front of our eyes. Enrique's Journey is insightful and beautifully written and sheds a great deal of light on the horrific journeys immigrants risk to find a better life. Starred Review. The breadth and depth of Nazario's research into this phenomenon is astounding, and she has crafted her findings into a story that is at once moving and polemical. This is a twenty-first-century Odyssey. Nazario’s powerful writing illuminates one of the darkest stories in our country. This is outstanding journalism. If you are going to read only one non-fiction book this year, it has to be this one, because you know these young heroes. They live next door. There are few books that show immigrants points of view. This may cause people to not understand what hardships exist for those who come here without documentation. This is a true story but a novel about the same theme is The Tortilla Curtain. 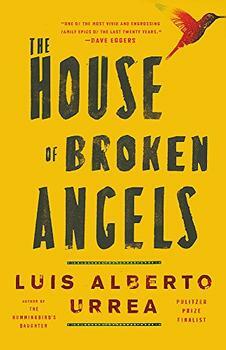 This book reveals the plight of Enrique and other minors that travel to the US. It is a very good book. About 700,000 immigrants enter the United States illegally each year. In recent years the demographics have changed with many more single mothers arriving. Nearly three-quarters of the 48,000 children who migrate alone to "el Norte" through Central America and Mexico each year are in search of a single mother who has left them behind. According to the Department of Homeland Security, the median age of child migrants is 15; the majority are male; some are as young as 7 years. In Los Angeles, 82% of live-in nannies and one in four housecleaners are mothers who have at least one child in their home country.